The Online Store for Solar Panels! 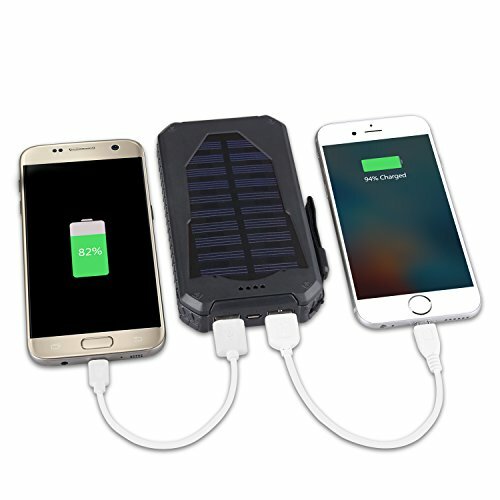 Ultra-High Capacity: 15000mAh capacity solar charger can be charge an iPhone 6 a Galaxy S6 and an iPad Air as usual power bank,and you won’t worry when you are outdoor,where there are sunlight,there will have power to charging. 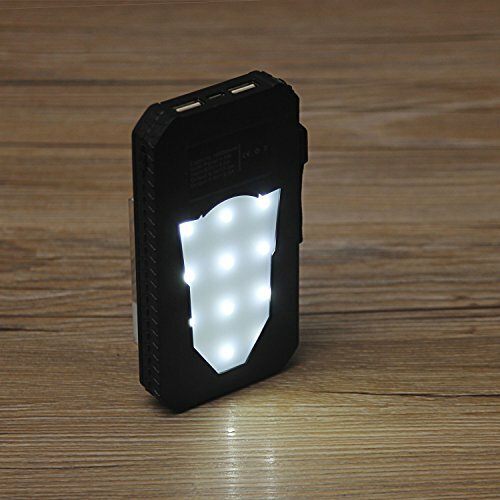 LED Flashlights:Four integrated LED power status indicator lights shows to you the power status.A UV lamps and a very bright LED flashlight on the back of the unit that would definitely come in handy with it four different LED light mode. 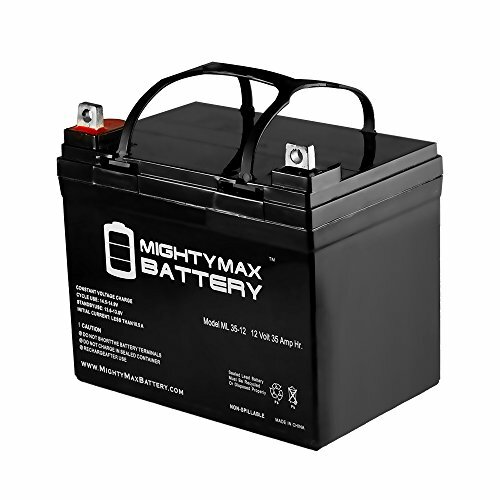 High Quality: Polymer battery,one of the safest battery around the world. using the advanced technology manufacturing ,good materials and processes, is capable of waterproof and drop resistance. Most suitable for outdoor environments. 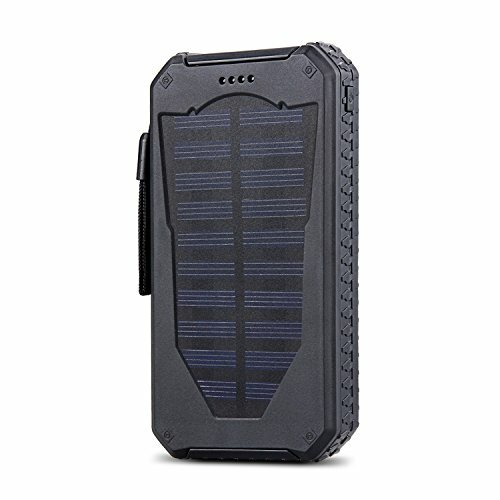 Over 1000 recharge lifecycle.Be used 10000 mAh polymer batteries,equipped with over-charge protection system, output short circuit or overload occurs safety protection design. 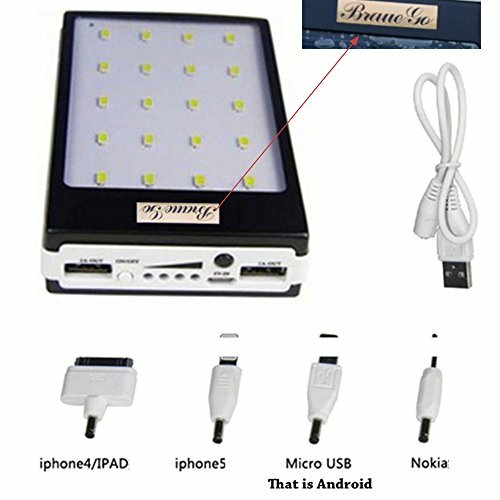 Won’t worry you iphone or other USB devices is low power,it can help you have a long outdoor tirp because it can charger with the sunlight. 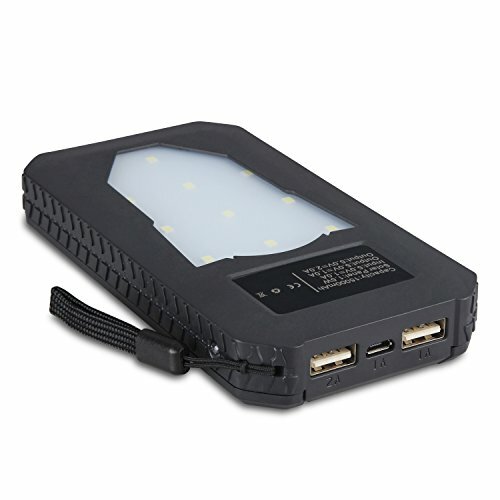 Shockproof waterproof, adapt to a variety of complex outdoor environment. Please charge it via outlet or computer at least 12 hours at first time use in order to fully charger the solar panel. 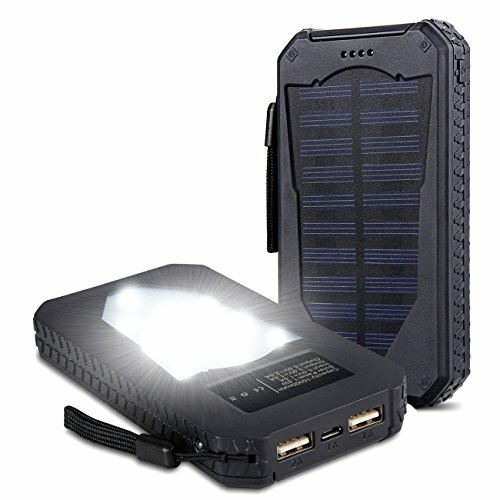 The solar panel was designed for emergency use, not a main charging resource, we recommend charge by wallcharger. The package included micro USB cable can’t be used for iphone device. 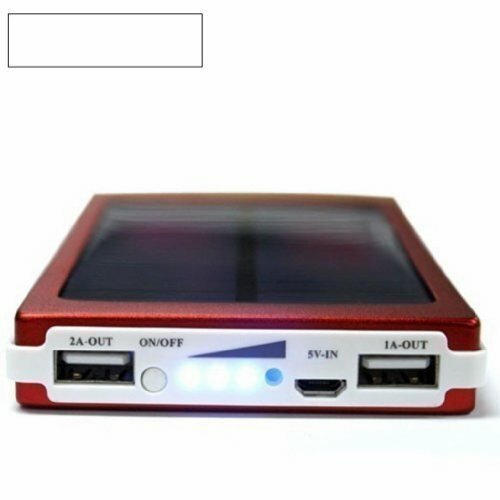 Portable Compact: 8.8 oz weight plus small pocket size candy bar design, making it easier to carry and use double charge double USB interface is the best choice for you and your USB device outdoors. Safety Protection Systems:Polymer battery, high security and reliability. output short circuit or overload occurs safety protection design, it will automatically shut down while there is a problem. Apply to all USB devices nearly. 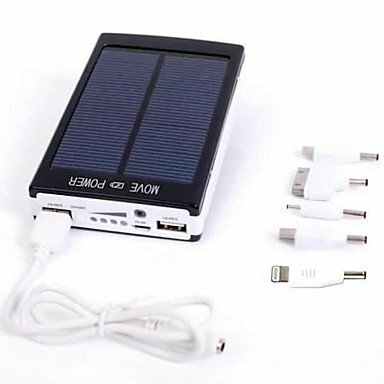 Be the first to review “Foreverrise Solar Charger 15000 mAh High Capacity Solar Panel Power Bank Portable Battery Pack Bright LED lights Dual USB Solar Battery Charger for Cell Phone,Tablet and others USB Device (Black)” Click here to cancel reply. Top Solar Panel © 2019. All Rights Reserved. TopSolarPanel.com is a participant in the Amazon Services LLC Associates Program, an affiliate advertising program designed to provide a means for sites to earn advertising fees by advertising and linking to Amazon.com.